What Color is Your Plate? Forty percent of Alzheimer's patients don't eat enough ... patients eating from red plates consumed 25 percent more food than those eating from white plates. Most of the time, caregivers for Alzheimer’s patients at home are surprised by how often Alzheimer’s patients are hungry. These patients often forget when they last ate and assume it’s been a very long time -- they just can't remember. Many times, they are ready to eat another meal in just minutes after their last meal. I hadn’t realized, until I read an article in today’s BU magazine online, that a very big problem with Alzheimer’s patients in Alzheimer’s facilities is that they do not eat ENOUGH food. The article is very interesting in finding some reasons for the insufficient food intake. “Nursing home staff often complain that Alzheimer’s patients do not finish the food on their plates even when staff encourages them to do so. Forty percent of individuals with severe Alzheimer’s lose an unhealthy amount of weight. Previous explanations for this phenomenon included depression, inability to concentrate on more than one food at a time, and inability to eat unassisted." According to the BU Today article, Cronin-Golomb and her colleagues took a different approach. "They believed this behavior might be explained by the visual-cognitive deficiencies caused by Alzheimer’s. Patients with the disease cannot process visual data—like contrast and depth perception—as well as most other seniors. 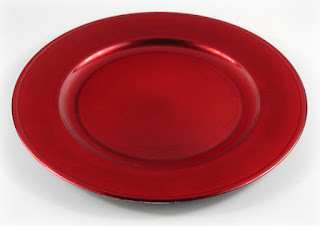 So Cronin-Golomb’s team, led by then-BU postdoctoral fellow and current Senior Lecturer in Psychology Tracy Dunne (GRS’92, ’99), tested advanced Alzheimer’s patients’ level of food intake with standard white plates and with bright-red ones. What they found was astonishing -- patients eating from red plates consumed 25 percent more food than those eating from white plates." As a result of these findings, some nursing homes have switched to using only red plates, and one company has marketed special red plates for this purpose. Sometimes, a very simple solution can make a big difference!